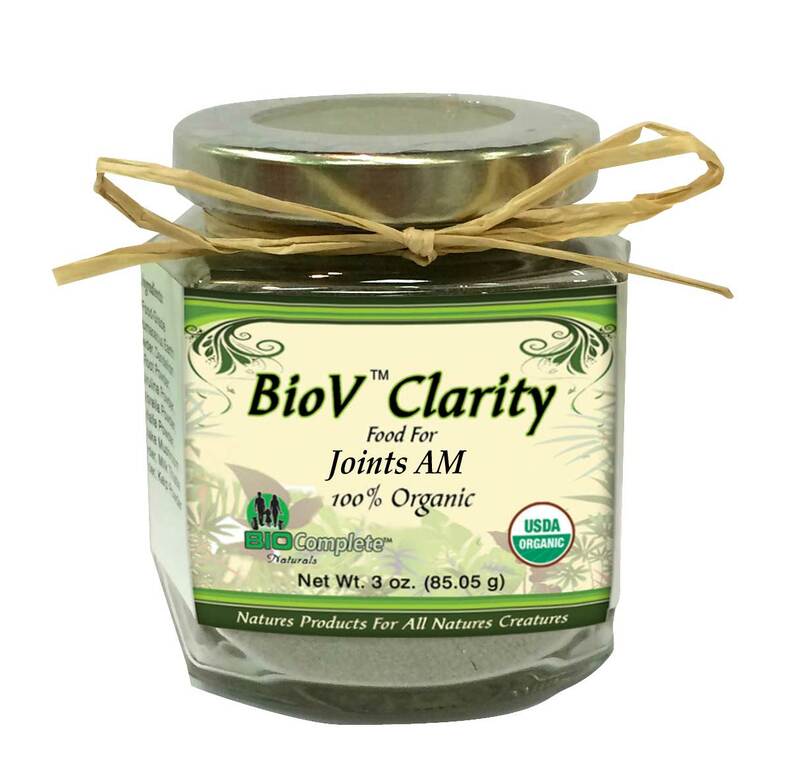 BioV Clarity Joint AM -This blend was formulated to aid in overall joint health, well-being and aiding in the prevention of arthritis, inflammation, and other joint issues. The antioxidant properties support the building and detoxification of the joint tissue along with other enhanced nutritional benefits. Use in a synergistic partnership with BioV Clarity Joint PM. BioV™ Clarity Joint AM - This blend was formulated to aid in overall joint health, well-being and aiding in the prevention of arthritis, inflammation and other joint issues. Its' antioxidant properties support the building and detoxification of the joint tissue along with other enhanced nutritional benefits. Use in a synergistic partnership with BioV Clarity™ Joint PM. Ingredients - A proprietary blend of: Meadowsweet, White Willow Bark, Calendula, Devils Claw, Rose Hips, Burdock Root, Licorice Root, Turmeric and Diatomaceous Earth Powder (food grade).